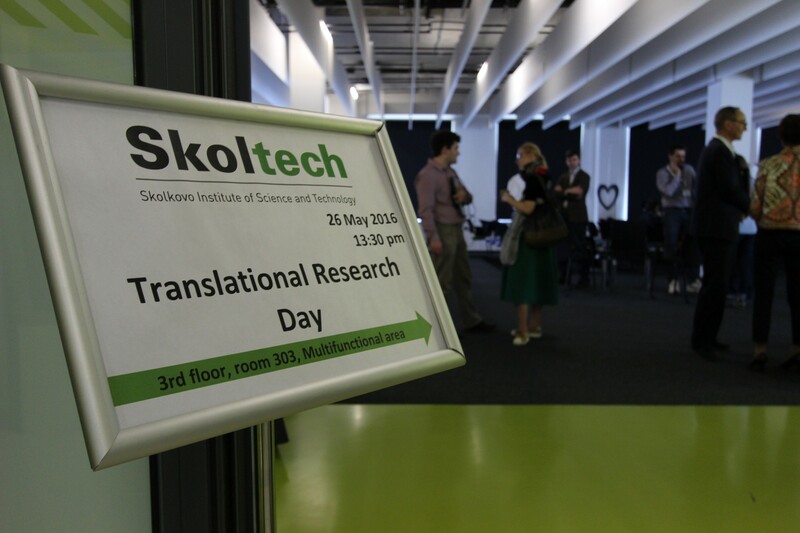 Translational Research Day was organized in Skoltech on May 26. 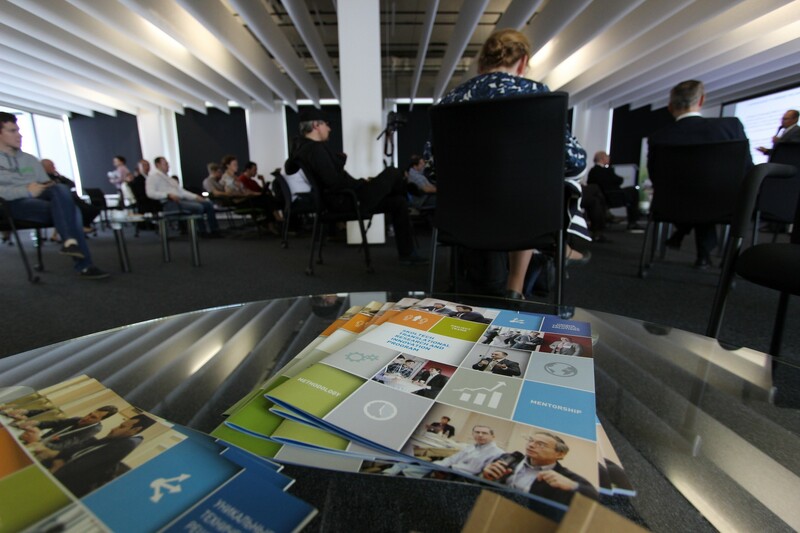 The event gathered more than 50 participants including Skoltech faculty, researchers and students as well as Skolkovo Foundation staff and experts from leading international companies. 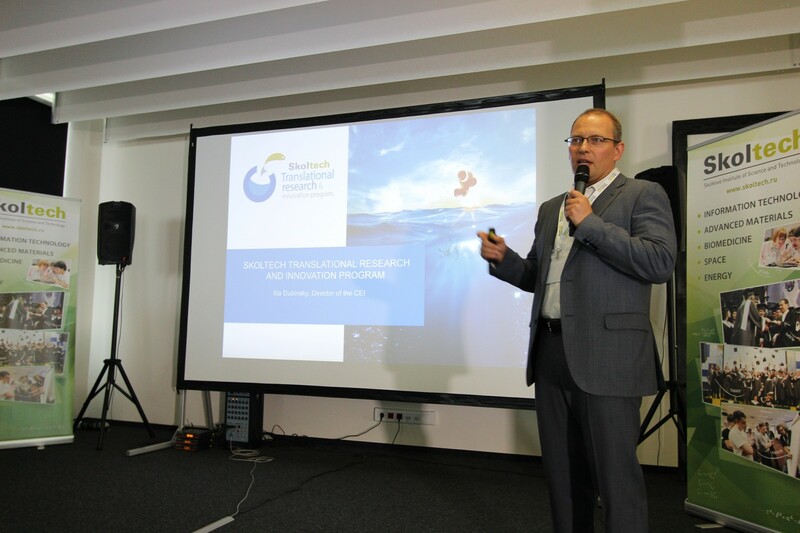 The goal of the event was to present translational research methodology and projects realized within Skoltech Translational Research and Innovation Program to Skoltech community and its partners. Prof. Dr. Rupert Gerzer, Provost of Skoltech, while opening the meeting, stated an importance of exchange of experience between researchers and industry and wished success to participating teams. Prof. Ilia Dubinsky, Director of the Center for Entrepreneurship and Innovation gave an introductory presentation of Skoltech Translational Research and Innovation Program and particularly methodology of the Program, aims of creation, its first success stories. He invited all researchers to participate in the next selection round of the Program in fall 2016. Prof. Dr. Edward Crawley, the Founding President of Skoltech, reminded participants about creation of the Program and stages of its development. Не stated that sequential support of translational research, aimed to bridge the gap between research in a laboratory and its application by the society, is a pledge of leading position of the institute and its key role in national economic development. 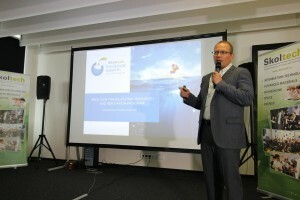 Timofei Zatsepin, Dzmitry Tsetserukou, Victor Lempitsky, Alexander Ustinov, Artem Oganov, Gleb Rhyzakov and Nikolay Kulemin who are participants of the Program made their presentations in energy systems, new materials, medicine, biotechnologies, videoconference and intelligent systems. Faculty members and researchers demonstrated achieved results and working plan for next months. At the end of the meeting, a session of face-to-face consultations of Skoltech students with experts from industry and entrepreneurs was organized. Young researchers discussed their projects with experts and got series of recommendations for further development. In general, the students warmly received this new format of knowledge exchange and asked to continue such meetings in future.